After late Dr. Keshav Baliram Hedgewar, the founder and first Sarsanghachalak of Rashtriya Swayamsevak Sangh, H. H. Golvalkar Guruji became the Sangh’s second Sarsanghachalak and discharged this onerous responsibility till June 5, 1973, that is, for a full 33 years. 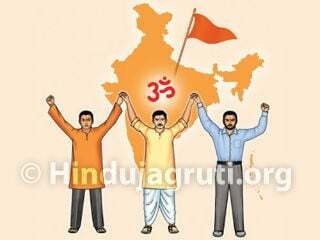 These 33 years formed a very important period in the life of the Sangh as well as of the nation. It was full of many events – the ‘Quit India’ movement of 1942, the partition of Bharat in 1947 and the poitical independence of partitioned Bharat, the terrible bloodshed before and after the Partition, the massive influx of Hindu refugees into Bharat, Pakistan’s invasion of Kashmir, Gandhiji’s assassination on January 30, 1948, the vitriolic campaign unleashed against the Sangh in its wake, the blitz of violence against it and the ban on it, creation of the constitution of Bharat and determination of the form and policies of the Government of Bharat, formation of linguistic provinces, China’s aggression on Bharat in 1962, Pt. 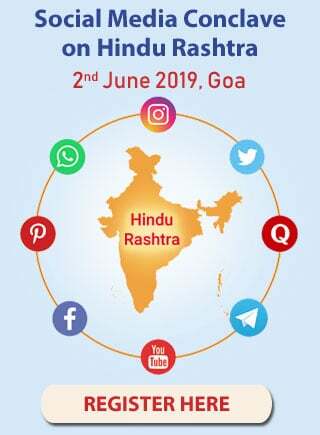 Nehru’s demise, the Bharat-Pak war of 1965, the second Bharat-Pak war of 1971 and the birth of Bangladesh, activities aimed at de-Hinduisation of Hindus, intellectual upheavel throughout the nation and so on. It was through this crucial period that H. H. Guruji nurtured and developed the Sangh. Travelling ceaselessly all over the country, he gave a powerful impetus to the organisation everywhere. Moving from place to place and garnering individual after individual he spread the network of Sangh all over the country. Doctorji had stated the Sangh’s ideology in a very brief outline. H. H. Guruji elaborated its relevance most effectively. Extensive study, deep thinking, spiritual elevation coupled with the Guru’s grace, selfless devotion to the Motherland, boundless love for the people, unparalleled ability to win over individuals and such other outstanding qualities enabled him not only to strengthen the organisation everywhere but also to provide mature intellectual guidance to the country in every field. His basic and constructive thinking on Bharatiya nationhood, the nation’s destiny, and the right direction for its rejuvenation in modern times has now become the country’s great intellectual heritage. H. H. Guruji’s life was thus unique and comparable to that of a sage. From the spiritual point of view he was a great Yogi, but as a devotee of God as manifest in the Society this great man lived in the midst of common people and cared for them like a mother. On the one hand, he loved solitude and had a detached mind, while on the other he was tremendously active in the life of the nation. All-in-all, his was a many splendoured personality. H. H. Guruji had a clear vision of the ideal conditions in every sphere of national life. 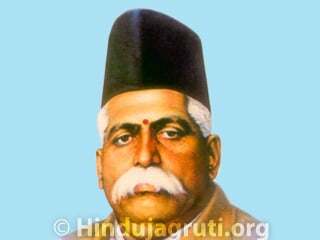 Guided by the firm faith that it was impossible for Bharat to become strong and confident enough to fulfil its destiny unless every aspect of the nation’s life was informed with the pure and inspiring ideology of the Sangh, he pioneered the formation of many fields of such activity. It was H. H. Guruji’s tremendous drive and initiative that lay behind various nation-wide organisations like the Vishwa Hindu Parishad, Vivekananda Rock Memorial, Akhila Bharatiya Vidyarthi Parishad, Bharatiya Mazdoor Sangh, Vanavasi Kalyan Ashram and the Shishu Mandir educational institutions. Even in the political field, he presented Dr. Mukherji with a priceless jewel like Pt. Deen Dayal Upadhyaya. In the event of temporary calamities, he guided various committees from time to time and motivated them to engage in relief work. He never allowed personal desires even so much as touch him. Consequently, H. H. Guruji’s intellectual guidance has left a comprehensive and indelible stamp on the nation’s life. Thousands of people who received from him the blessings of the ideology of nationalism and a befitting view of life are even now active all over the country. Those who were formerly under the spell of anti-national and fallacious thinking are now discarding their illusion and coming over to the Sangh’s way of thinking. Even the charges levelled against the Sangh at the level in the Government have been proved false and baseless. Along with this, the motivated propoganda indulged in by selfish politicians in order to discredit the Sangh is fast losing force. Rather, those indulging in this anti-propaganda themselves have lost credibility in the people’s mind. Without caring in the least about the opposition, H. H. Guruji kept on fearlessly expounding the thought of our ancient cultural nationalism. His outstanding achievement was that he not only expounded the pure concept of nationalism but inspired thousands to live by it. Anti-propaganda often made H. H. Guruji a subject of controversy. Many of his statements were distorted by opponents for the sake of deriving political mileage. But H. H. Guruji never got agitated, nor did he lose his equipoise. His mind could never be sullied by hatred. He never swerved from the goal of rejuvenation, in consonance with the Hindu view of life, of the Hindu Nation. He was extremely affectionate in his behaviour, but equally uncompromising in respect of principles. He never accepted any compromise that led to self-denial, self-deception or blemish on the nation’s prestige. No wonder, people want to know more about such an outstanding personality. It is nearly 25 years since H. H. Guruji died of cancer, but Sangh Swayamsevaks still cherish many of his inspiring memories. In fact, the circumstances prevailing in the country today vividly bring back memories of the penetrating thoughts he had expressed, just like a prophet, from time to time. It is obvious that a nation’s prestige stands on the quality of its people. Nor does a mere change of government create this quality. H. H. Guruji stressed the premise that there was no alternative to a system that ensured constant character-building. We experienced the truth of this view in the period of Emergency. The individual is the focal point of all types of actions, all kinds of transformation. If the individual is not good enough, he can set at naught even a good plan, a good system. The controversy that has arisen over the Constitution of Bharat today also justifies the all-out stress H. H. Guruji had laid on human quality. As a successor of the two great dedicated predecessors Dr. Hedgewar and H. H. Guruji, Sarsanghachalak Shri. Balasaheb Deoras also did remarkable work in the direction of making the Sangh co-equal with the whole society by giving new thrusts to its social service projects. The opponents of the Sangh tried to spread confusion by creating the illusion that there was a difference in the thinking of the three Sarsanghachalaks, but Balasaheb himself clearly dispelled all such disinformation tactics on many an occasion. 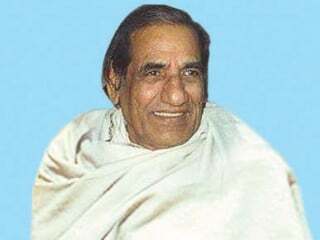 He used to say, H. H. Guruji had been selected by Doctorji himself and he, Balasaheb, had been selected by H. H. Guruji, and this fact was enough of an answer to those who spread the myth of difference between them. Some are born great, being born in rich and famous families. The families of the three previous Sarsanghachalaks of the Rashtriya Swayamsevak Sangh, however, had no such background of greatness or fame. H. H. Guruji was born in a very ordinary family. His original surname was Padhye. The Padhyes belonged to a place called Golwali in Konkan in Maharashtra. Padhye means a practising priest. The family first migrated from Konkan to Paithan and later shifted to Nagpur. It was H. H. Guruji’s grandfather Balkrishnapant who first came to Nagpur. This migration ended his connection with the priestly profession; so out of the surname Golwalkar Padhye only Golwalkar remained. H. H. Guruji’s father Sadashivrao lost his father at a very young age. So he was forced to give up education and take a job. For long years, he suffered the pangs of poverty. He got a job in the Post and Telegraph Department at Kamti near Nagpur. H. H. Guruji’s mother, Laxmibai, was from the Raikar family of Nagpur. Sadashivarao was known as Bhauji and Laxmibai as Tai. The couple had four sons, but the first two died as babies of just an year old. The third was named Amrit, but he too fell a prey to typhoid at the age of fifteen. H. H. Guruji was the fourth offspring. He was born in the Raikar house in Nagpur at half past four in the morning on Phalgun Krishna Ekadashi (Vijaya Ekadashi) Vikram Samwat 1962, that is, February 19, 1906. He was named Madhav, but everybody in the family called him Madhu, a endearing name of his childhood. Out of a total of nine children of Tai-Bhauji only Madhu survived and naturally became the darling of his parents’ love and hopes. When Madhu was just two years old, Sadashivrao left his job in the Post and Telegraph department and became a teacher. He got a teacher’s job in a village of Chhatisgarh by name Saraipali. Saraipali is at a distance of 90 miles from Raipur and 60 miles from Raigarh. In those days, there were no means of transportation, so one had to either walk or travel on horseback. Madhu had to pass his childhood in an area that we now call as most backward and cut off from modernity. But when God wishes to fashion an excellent life He gifts that person with some extra benefit that can overcome adversity, provided of course, the individual is worthy of it. H. H. Guruji possessed such worth since childhood in ample measures so he quickly assimilated the sanskars (the good cultural influences) inculcated in him by his parents. 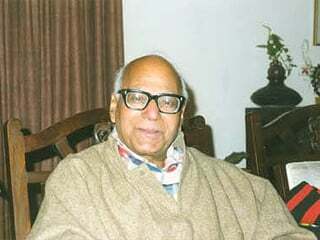 Many incidents of Madhav’s childhood days indicate that a razor-sharp-intellect, insatiable hunger for knowledge, extraordinary memory, willingness to alleviate the sufferings of others, extreme forbearance, absence of ego, purity of mind and such other exceptionally high qualities were developing in him right from those days. He was drawn to every good quality and had a deep-felt urge to acquire it. People came to know about these H. H. Guruji’s invaluable qualities specially when he became the Sarsanghachalak of the Rashtriya Swayamsevak Sangh. But his early life-story makes it clear that all these qualities had originated and developed even during his student days. For instance, serious reading, exceptional memory and the capacity to memorise and mastery over Hindi and English were among the qualities acquired during his early years. Right from the primary school stage he did extensive reading. He was a voracious reader and had read Shakespeare in full while still in the middle school. He also used to narrate to his fellow-students the stories of these plays in a most fascinating manner. In the class, Madhav used to read some book while the teacher was teaching another one, but he was at the same time mindful of what was being taught. Once when the teacher saw some other book in Madhav’s hands, he thought the boy was not paying attention to his studies. So in order to teach him a lesson, the teacher stopped a boy who was reading a lesson and asked Madhav to read from that point onward. Without a moment’s hesitation, Madhav took up the text-book and began to read from the point where the first boy had left off. Both the students and the teacher were amazed. The teacher’s ploy to teach Madhav a lesson had obviously failed. Bhauji taught Madhav English right from his primary school stage. The boy made such rapid progress in the language that even when he was in the fourth standard he wrote letters in English to his maternal uncle in Nagpur. Father’s job was in the Hindi territory, and because of his frequent transfers to places like Raipur, Durg, Khandwa and so on, Madhav became quite familiar with those territories and at home with Hindi. Marathi, of course, he knew well, as it was his mother-tongue. As a result of living in a variety of places, he came into contact with people speaking a variety of languages. His mind became broadened and the thought took root that all Bharatiya languages were his own. 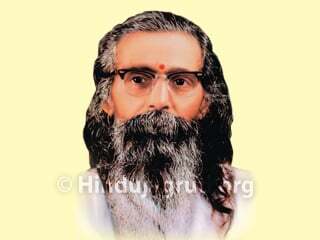 As the Sarsanghachalak of Rashtriya Swayamsevak Sangh, H. H. Guruji had to make innumerable speeches all over the country. His oratory was powerful and inspiring. This quality too had developed in his school days. Even as a child, he had won prizes in elocution competitions. He lived a full life as a student – played a lot, studied a lot, helped his friends as much as he could, was modest and carried out happily all the household chores expected of him, and shared the joys and sorrows of others. The foundation of the future life of unique achievements was in fact laid in this period. Later on, H. H. Guruji’s father had once said, “That Madhav could prove highly capable in later years, was clear from the qualities he displayed in his school days, but we had no idea that he would become so great. Now I do not grieve that among my children only Madhav survived, because in the form of Sangh Swayamsevaks we have thousands of children. “On such occasions, Bhauji’s eyes would shine with pride over his unique son. At the same time, it must be borne in mind that the qualities of selflessness, dedication to duty, piety, hard work and pursuit of knowledge which were manifest in H. H. Guruji’s life became possible only because of the noble sanskars that his parents had inculcated in him. Shri Guruji too had, on many occasion, gratefully referred to their noble ideals. There is an incident showing Bhauji’s spirit of dedication and determination in pursuing a worthy goal. He was only a matriculate when he became a teacher. Many years had since passed. But he decided to graduate himself. It was twenty years after matriculation that he passed the Intermediate examination, and it took him another seven years to become a graduate! He discharged his responsibility as a teacher with due diligence, but in his spare time he also continued the mission of imparting knowledge. 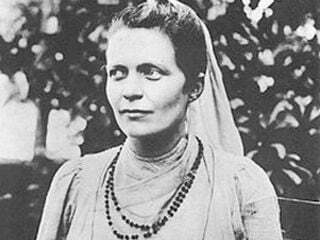 Mother Taiji was also of such a determined nature that in 1934 she performed a padayatra of nearly a thousand miles from Prayag to Alandi in the company of a saintly person named Sri Babaji Maharaj, and bathed the Samadhi of the saint Dnyaneshwar with the holy Gangajal brought from Triveni Sangam at Prayag in U.P. During this pilgrimage her back was scorched in an accident, but she bore the agony with equanimity and kept on walking. Vulgar, ostentatious and wasteful expenditure is a sin when millions are starving. There must be reasonable restrictions on all consumption. ‘Consumerism’ is not compatible with the spirit of the Hindu culture. There need not be any rigidity about the patterns of industrial ownerships. There are various patterns, such as, private enterprise, nationalization, co-operation, municipalisation, democratization, self-employment, joint-industry etc. For each industry the pattern of ownership should be determined in the light of it’s peculiar characteristics and total requirement of the national economy. But changes in the superstructure of society will be of no use if the mind of every citizen is not moulded properly. Indeed, the system works ill or well according to the men who work it out. The Sanskaras of identification with the entire Nation constitutes the real social infra-structure of any socio-economic order. If once all the Hindus, whatever their political and other denominations, decide to stand shoulder to shoulder in a concerted manner as one national entity right form the Himalayas to Kanyakumari and form Dwaraka to Manipur, then all those others who have been living in this country will also learn to respect the Mother and the national entity here. Keeping their own faiths intact they will be able to become useful members of this great nation. Sri Rama, one of our greatest ideals, is a living example of this philosophy of victory. Killing of woman is supposed to be against kshatra dharma. It also ordains one to fight the enemy in the open. Nevertheless Sri Rama Killed the rakshasi Tataka and shot Vali from behind a tree. For, Sri Rama was aware of his ultimate duty of establishing the rule of righteousness by destroying the wicked. The slaying of an innocent woman is sinful but the same principle cannot be applied to a demoness. The technique of fighting also varies according to the nature of the enemy. This is the right understanding of kshatra dharma and Sri Rama followed it. There were in those times discriminating preceptors who preached the right concept; there were heroic disciples too who followed them. And again during the battle, when Karna had got down to lift up the wheels of his chariot stuck in the mud, Sri Krishna commanded Arjuna to direct his arrows at him. Karna appealed to Arjuna in the name of dharma, saying that it was adharma to strike at an unarmed and chariotless adversary. Then the great Yogi Sri Krishna thundered, “O Karna! What are the dharmic injunctions you have followed till today that you now come forward to preach dharma to us? Where had your dharma gone when all of you had surrounded the unarmed lad Abhimanyu and slaughtered him shamelessly? Where had your dharma disappeared when you insulted a helpless woman, Draupadi, in an open assembly? I know only one dharma to protect, and that is Dharmaraja!” It was because Sri Krishna presented this correct perspective and thereby steeled the will of Arjuna that the latter could fight the war and bring laurels of victory to the forces of dharma. Let us, decide to tread that path, concentrating our attention and strength on reaching the final goal of victory over all the forces of evil. We are to test every act, apparently good or bad, on this touchstone of ultimate victory of the forces of dharma. That which leads to the victory of the virtuous and the righteous, is alone good and meritorious. And the examples and lessons of the victorious and the great will inspire us with the necessary will to win and awaken in us the right discrimination to achieve ultimate victory in the path of dharmasthapana, i.e., establishing righteousness all over the world, which has been our national life-mission since ages. Pakistan’s repeated aggressions upon us and its crimes against humanity and the way we have been reacting to them till now, hold a solid lesson for us. It would be futile-nay, it would be only inviting further and bigger troubles – if we merely take up a defensive posture and somehow try to save our skin; we should, on the contrary, vanquish such an evil enemy completely; not because we harbour any territorial ambitions but to put an end, once and for all, to his capacity to indulge in his anti-human crimes or to pose a threat to our security in future. Such a total victory ought to be our aim. Our wise forbears have declared agni-shesha, roga-shesha, runa-shesha and shatru-shesha (residues of fire, disease, debt and enemy) should not be allowed to persist. Even their smallest traces will have to be eliminated. Otherwise, the residual spark may well develop in course of time into an all-consuming fire. It is because many of our heroic commanders of freedom struggle in the past did not heed this wise warning that they had fallen a prey to wrong notions of Kshatra-dharma and let off the captured enemy kings and commanders. History tells us that these enemies recouped themselves, attacked our men once again and destroyed them. In a nutshell, our brethren abroad will have to bring about a total transformation in their thoughts and life-styles if they have to lead a happier, richer and more honoured life abroad and also make the image of Bharat shine brighter in those countries. And in order to do this the one supreme conviction that we are a great people charged with a World Mission, should ever be vibrant in our breasts; that a sacred duty and trust is cast upon us of bringing home to the entire humanity the sublime truths embedded in our Dharma and that the various ills and challenges being faced by it could be met successfully on the basis of the all-comprehensive, scientific yet spiritual outlook of Hinduism. If this ultimate vision is kept constantly is view then everything else will become clear as crystal. Today, disintegrating forces are afoot in our country and the foreign powers are lying in wait to fish in the troubled waters. Some years back, the foreign powers had their hand behind the language conflict in Assam. Now it seems there is the foreign hand in the circulation of exaggerated news of persecution of Harijans. The foreign powers know very well that they can retain their supremacy in this country only by splitting the Hindus. We must admit that we have not been successful, to the extent expected of us, in integrating the society and rousing the feeling of intense patriotism in it. As such, we have to be more keenly conscious of our responsibility, think about all aspects of our work, and put ourselves to the wheel wholeheartedly and with a resolve to reach the goal at all costs in the near future. 1. He gave the smallest message “Not me You”. 2. He holds a record of number of trips all over Bharat. 3. He holds a record of writting maximum number of letters in his own handwriting. 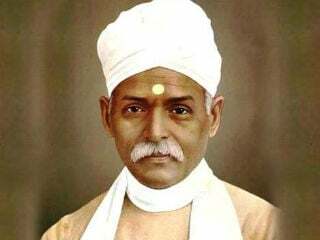 Mahamana Pandit Madan Mohan Malaviya - an orator par excellence ! 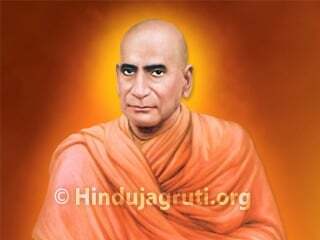 Swami Shraddhanand : A Martyr Hindu Leader ! Divine serpent on which the earth rests.